Problem 1st: Ubuntu 13.10 – where are all my Apache’s virtual hosts? 1) rename al your configuration files at /etc/apache2/sites-available to the files with .conf extension. 2) re-enable them with sudo a2ensite <conf-file-name> command. – Virtual host on ubuntu 13.10 and apache 2.4.6. Assume You resolved the 1st problem successfully. Congratulations! HTML error 404 was gone. But what the …?! Where is my development site? Why do I see this “Forbidden. You don’t have permission to access / on this server. Apache/2.4.6 (Ubuntu) Server at test.localhost Port 80”? message instead? We come to the 2nd problem here. Problem 2nd: Ubuntu 13.10 – why did I lose access to my localhost sites? After update from Apache 2.2 to Apache 2.4 you will lose access to all sites defined for your Apache. Why? The reason is the differences between Apache’s version 2.2 and 2.4 Access Control directives. If Apache 2.2 used the “Order, Allow, Deny, and Satisfy” directives, version 2.4 uses the other “Require” directive syntax. – Ubuntu Server, Apache 2.4.6 -> client denied by server configuration. It will resolve the issue for the localhost. For production server you should select appropriate value according to the security level needed of course. 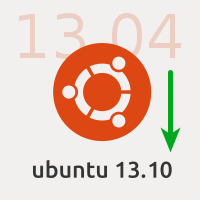 Problem 3rd: Ubuntu 13.10, PHP 5.5.3 and WordPress. for all your development WordPress installations? If you did not, think about it. 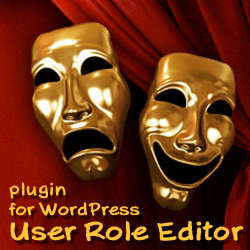 You are really should, as you will see all errors and notices produced by themes, plugins, your mistakes, etc. then PHP 5.5 came to us with the real deprecation message noted above. – Stop, guy. It’s could not be, as it’s never could not be. WordPress developers should do with it something already, really. Searching the Internet leads me to this discussion thread “Use PDO or mysqli for MySQL queries when available” started more than 15 months ago. Core WordPress development team members are involved. And if in short, good news – WordPress will be switch to PDO in nearest future. But what to do now? As the developer I should have all those PHP warnings and notices turned ON. But it is really bad to see mysql extension deprecation message with every new WordPress page load. The decision is made by the real time saver – Marko Heijnen. It is the “MySQLi database layer” WordPress plugin. This plugin does the only thing – it copies file db.php from the plugin’s folder to the wp-content folder when you activate it, and deletes that file, when you deactivate it. So I did not install the plugin, but copied db.php file to the right place manually. It works like a charm, in fully transparent manner, replacing global $wpdb object to the class inherited from the WordPress’s wpdb object and replaces all mysql extension calls with the correspondent mysqli extension calls. Thanks, Mark, for this excellent code, released just in time. Do other surprises wait their time to be discovered? How do you think? This entry was posted on Sunday, November 3rd, 2013 at 04:48	and is filed under Linux, Ubuntu, WordPress. You can follow any responses to this entry through the RSS 2.0 feed. You can skip to the end and leave a response. Pinging is currently not allowed.